Poco’s India General Manager Mr. C Manmohan has announced on Twitter that the beloved mobile is getting a new update in February that will enable the 4K 60 FPS video recording support. Currently, POCO F1 is capable of recording only 30FPS 4k videos but after the update, you will be able to record 60 FPS videos. Notably, the Qualcomm Snapdragon 845 used in the POCO F1 is capable of recording 60FPS videos but POCO has not enabled it so far. In another Tweet, Mr. C Manmohan has confirmed that the company is planning to enable 960 FPS slow motion on the POCO F1. The update is likely to come in January or early February. Also, the company is planning to launch the POCO F2 in the coming months which is already getting featured in many leaks. One of the biggest complaints that we and other POCO fans had with the POCO F1 was Widevine L1 support for playing HD videos on Amazon Prime and Netflix. Guess What? Poco is enabling it in the upcoming update, read more details below in the POCO F1 issues section of this review. 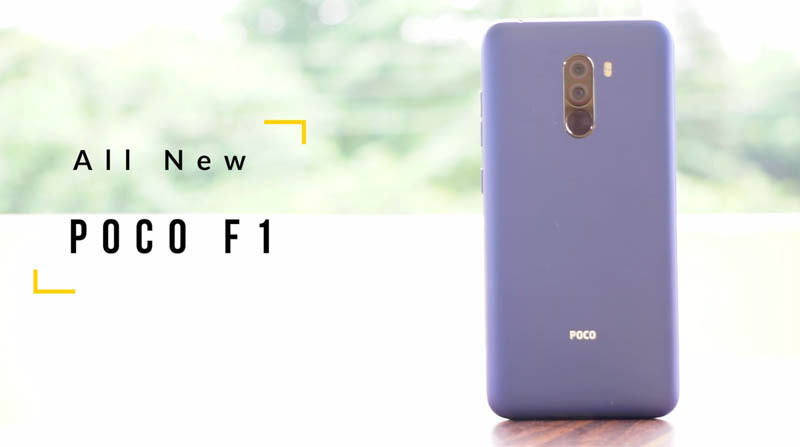 Xiaomi has launched a new affordable flagship mobile POCO F1 in the Indian market with insane specs and a very affordable price tag. Notably, the POCO F1 is available for a starting price of Rs. 20,999 and you can buy it online from Flipkart or Mi.com. But what is the story behind the launch of POCO F1, well I made a video on this and explained the reasons why Xiaomi made a separate brand and why the POCO F1 is so affordable, you can watch that below. But to tell you, in short, the sub-brand POCO is similar to OnePlus for BBK electronics which owns OPPO, VIVO, OnePlus and even the realme. 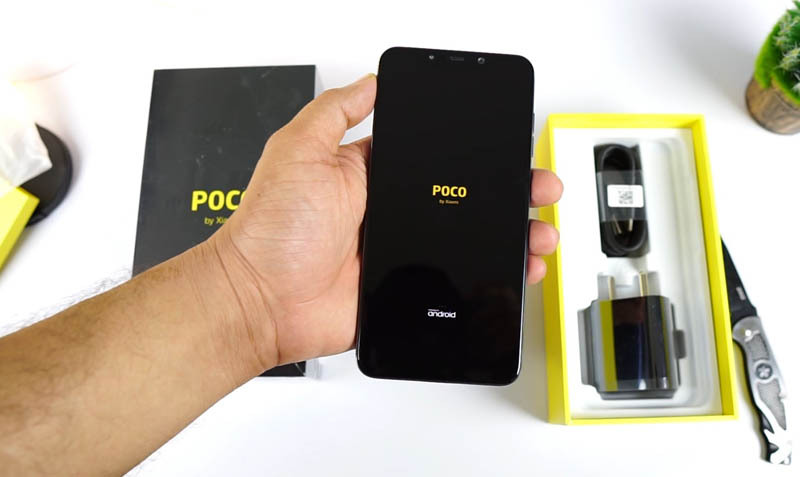 POCO is Xiaomi’s aim to gain market share in the premium mobile segment which is totally dominated by Samsung, Oneplus and Apple. These brands have over 88% share and Xiaomi wants to change it. 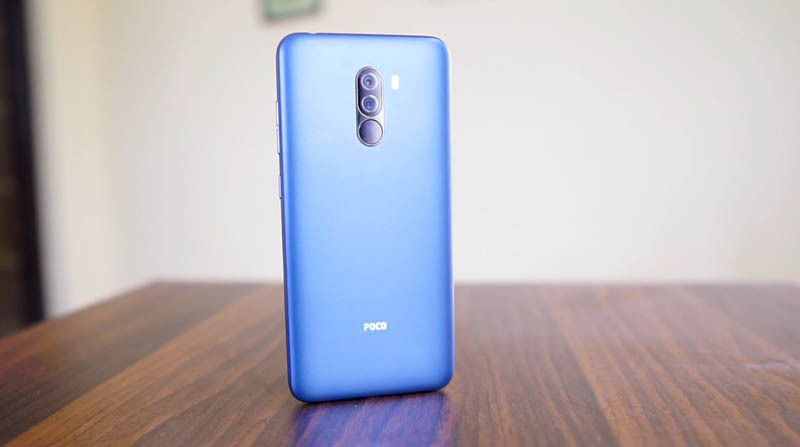 Also, the POCO F1 is made in India and hence saves on higher import duties which help the company to sell it at extremely low prices in comparison to rivals. It is the cheapest phone that runs on the flagship Snapdragon 845 processor and undercuts the price by Rs 9,000 in comparison to the Zenfone 5Z which was previously the cheapest SD 845 phone. Superb Performance Snapdragon 845 Processor. Good Battery Life – 4000 mAH Battery. The Xiaomi POCO F1 comes with a nice black and yellow box which is different from the usual boxes supplied by Xiaomi. Inside the box, you will find the POCO F1, a silicon case, an 18 Watts fast charger and the USB type C Cable. Notably, there are no headphones supplied with this mobile. I would have liked to talk about this at the end but nevertheless, let’s get it over with. The build and design on the POCO F1 is probably the lowest point in my opinion in otherwise a terrific mobile. It comes with a basic plastic build which looks average like most phones in the sub 12k price range. 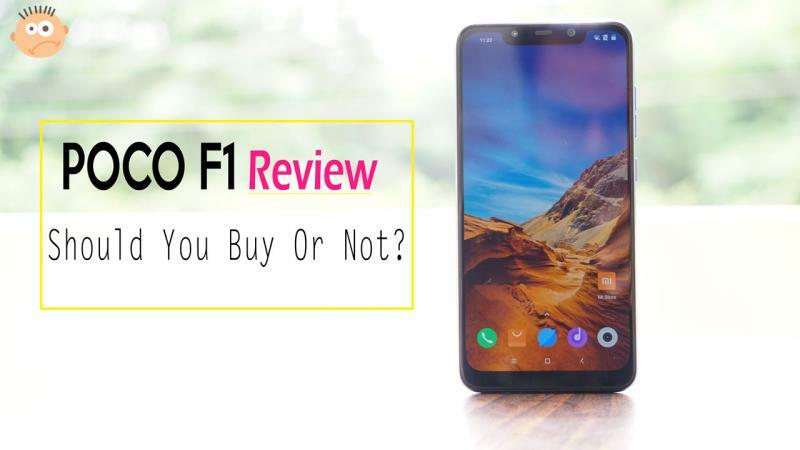 It is nothing like the plastic build on the Realme 1 or the Oppo F9 Pro which I reviewed earlier. But the build looks rough and tough and once you put on a decent case on it you will mostly forget about it. The phone comes with an FHD+ 2246*1080 pixels, 18.7:9 ratio display with a notch that is nearly as big as the iPhone X. It is an IPS LCD panel and comes with a 1500:1 contrast ratio and 500 nits maximum brightness. Though the outdoor legibility is not a problem the display is not the best I have seen in this price range. In fact, I liked the display on the Asus Zenfone 5Z and the Honor Play much more than the POCO F1. 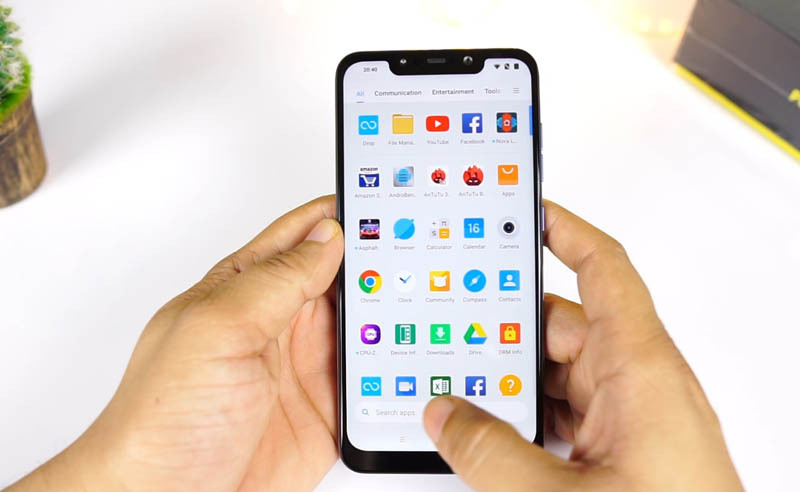 The POCO F1 comes with a new POCO launcher which has a tabbed view to arranging Apps under different categories and even has an app drawer which is not present on the other Xiaomi phones. The experience and features are the same as the other Xiaomi mobiles like the Redmi Note 5 Pro. There are tons of options once you deep dive into the settings menu. I have been using the phone with the Nova Prime launcher and the pixels Icons pack and the experience has been smooth. Overall the MIUI 9.6 and the latest Android Oreo 8.1 makes this device offer a good UI and experience. 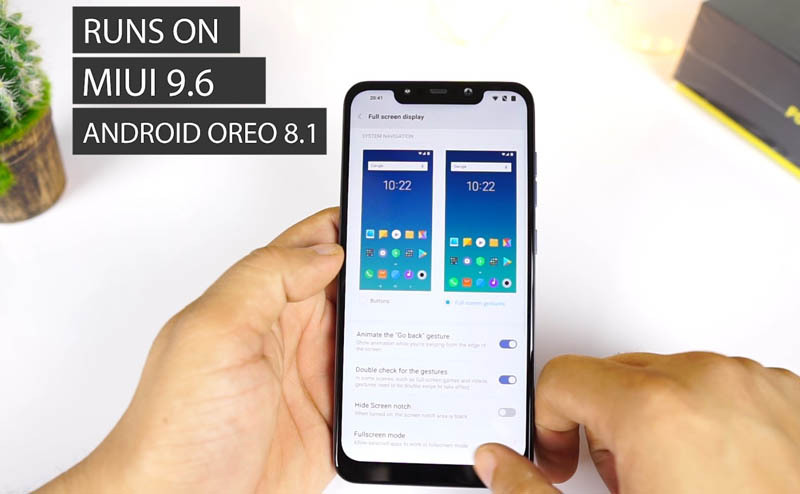 You will also get the Android Pie update on the POCO F1 soon but the exact date is unknown. There are people complaining about the lack of Widevine L1 support and it is true that it misses on this but if you need to dig more can watch this video. POCO F1 lacks L1 support as we know but the POCO is planning to rectify it in the upcoming update which will come before December 2018. (Xiaomi confirmed it on the MIUI thread). Apart from the Widevine L1 support, there are a couple of more important updates coming to the POCO F1 like the rounded corner on all edges in place of squarish on the upper side. Xiaomi has said they will try but can’t confirm. Also, the new upcoming beta version ( MIUI 10 Global 8.10.17) will come soon and it fixes the status bar no notification icons display bug. Screen Bleeding – There are screen bleeding issues on the POCO F1 display which doesn’t impact all of the devices but a fraction of them. Xiaomi has communicated that you can visit the service center for a possible resolution and if need be the device can be replaced. 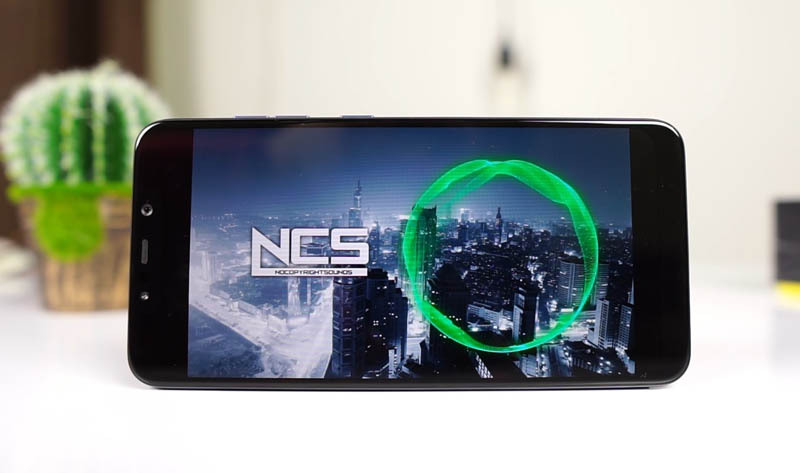 This phone is made for gaming and performance as Xiaomi told us in the keynote presentation. 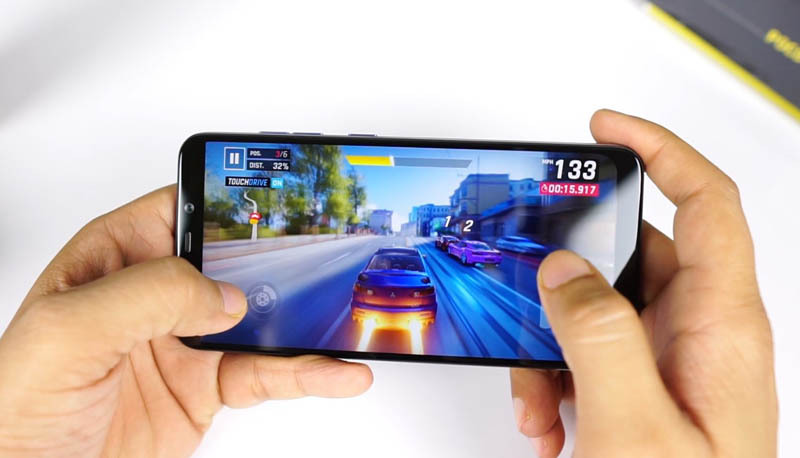 In my 10 days experience with it, the POCO F1 is a superb device if you want to play latest games such as PUBG or the Asphalt 9 at high graphics settings. The Qualcomm Snapdragon 845 and the Adreno 630 is the best combination that you can get on any Android mobile for performance. Also, the POCO F1 comes with the Liquid Cooling technology that keeps it fairly cool when you game on this device. The maximum temperatures are around 38-39 degree Celsius while play PUBG on it. The POCO F1 scores much higher in comparison to any other phone in the sub 25k price range and is much faster than phones using Snapdragon 660, Helio P60 or the Snapdragon 636. The addition of SD 845 makes the POCO so much better than the rivals and puts it in the league of OnePlus 6 and the Zenfone 5Z which are far more expensive. 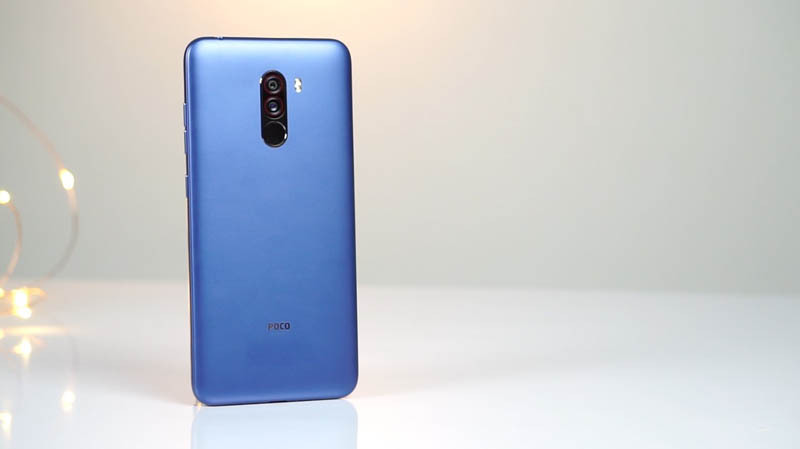 I am not sure if Xiaomi is making any money on the 21k POCO F1 but definitely, it is really comparable to the Mi3 or the Oneplus 1 when they were launched for insanely low price with flagship processors. Another great thing about the POCO F1 is that it comes with an infra-red sensor at the front which makes the face unlock on this phone incredibly fast. Unlike most other Android phones which struggle in the low light conditions, I had no issues using the face unlock feature even in pitch dark environment. The fingerprint scanner on this device is also blazing fast, no complaints here. Before testing the phone I was actually thinking that Xiaomi would have cut corners in the camera section to save costs. But it has a surprisingly good camera and is very close to the Asus Zenfone 5z which I have been using. The AI mode helps to capture some punchy images with vibrant colors. While most reviewers criticize the AI but I think for a normal person who wants a bit saturated images straight out of the camera this is a good option. Moreover, the portrait mode on this camera is as good as any other best dual cameras from Xiaomi and I even preferred the images from the POCO F1 more in comparison to very dull looking images from the Xiaomi Mi A2. Mi A2 has its own merits of capturing very real images but for social media sharing, I love the images from the POCO F1. Ohh yes, pardon me, photographer darlings who wish to have a more neutral look to the photos. You can even turn off the AI and take decent images using the Sony IMX 363 sensor which is really good and even comes in the Asus Zenfone 5Z. 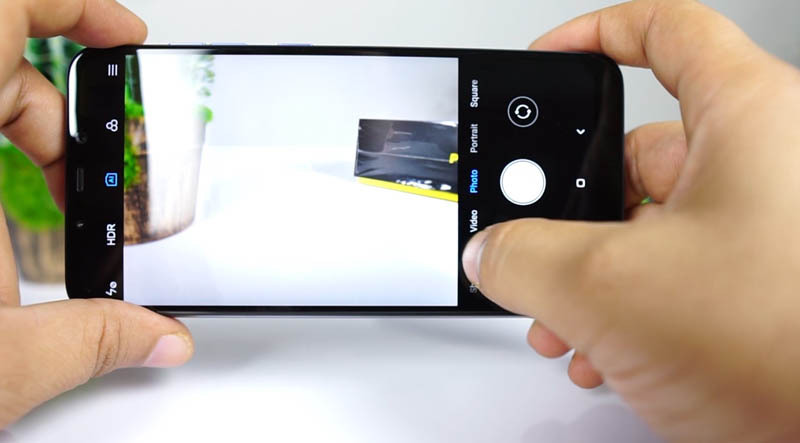 The low light performance is not good due to the missing OIS support and even the video quality is average due to the lack of Optical Stabilization. Though it comes with the EIS support which makes the videos bearable. 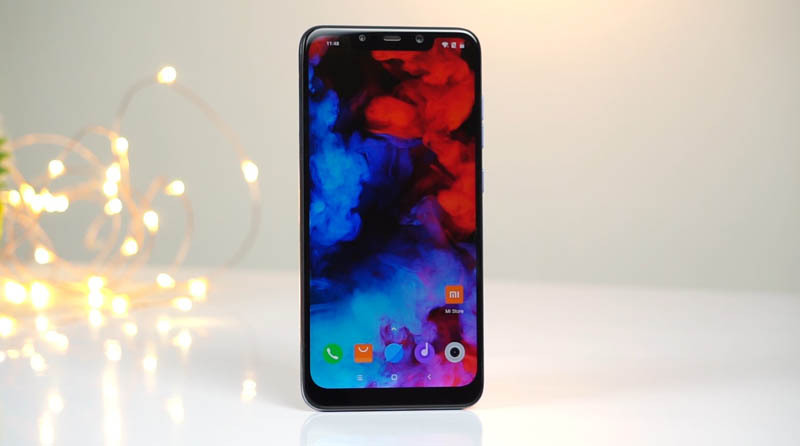 Moreover, the front selfie camera also produces good results in sufficient light and 20 MP sensor ensures that there are a good amount of details. Check All the Detailed Images Below (Please let the Album Load), Click on Image to See Full Resolution POCO F1 Samples. Another feature in the POCO F1’s armor is the superb battery life. Thanks to the energy efficient Qualcomm Snapdragon 845 Processor and Adreno 630 GPU this phone can last long, easily 1.5 days with medium usage and a full day with heavy usage. 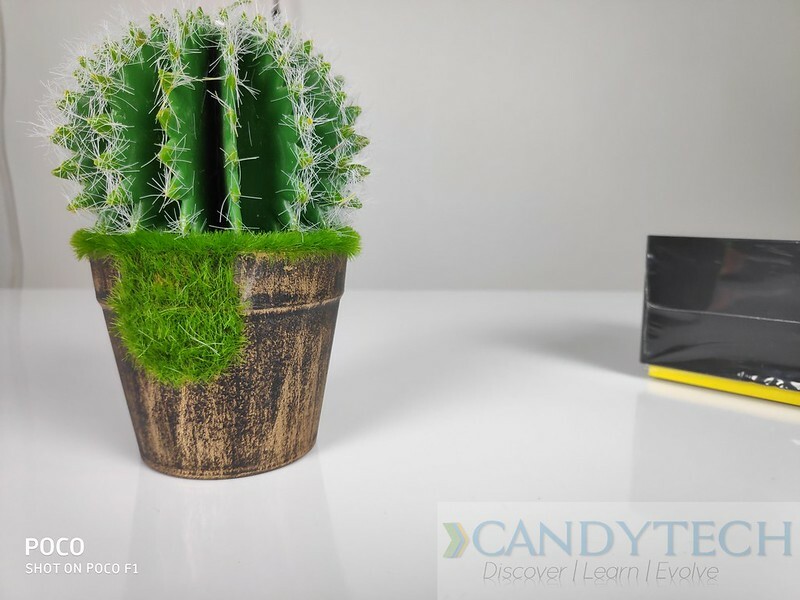 The device comes with the Quick Charge 3.0 support brick charger with USB Type C Port and can charge the mobile in less than 2 hours. The fast charging is good and considering it has a massive 4000 mAH battery the charging time is not too much. The POCO F1 comes with all the modern connectivity options, sans NFC support. You can’t use it with Android pay or transfer photos or control devices using NFC not a big deal in my opinion, I rarely use NFC. Also, it has a hybrid Dual Sim support and doesn’t come with a dedicated micro-sd card slot. But it has Bluetooth 5.0 support and even has 5 GHz WIFI Support in addition to the Dual 4G Volte support. The POCO F1 sounds good and even comes with a 3.5 mm headphone jack which is egregiously missing on the MI A2. I think it is plain stupid to not include a headphone jack and it is good that Xiaomi has included it in the POCO F1. The sound quality is decent as it comes with a DAC to amplify the sound. Unlike the Honor Play, that has a feeble sound from the Speaker Poco F1 has better sound from the loud speaker which is present at the bottom. Another good thing is that the earpiece at the top side also acts as a speaker to increase the sound output. Actually, the POCO F1 is the key competition to everyone else and is the benchmark device to compare the rest of the phones. However, there are other options in the 20K to 30k price range such as Oppo F9 Pro, Vivo V11 Pro, Zenfone 5z and the Honor Play. Ultimate Performance, Good For Gaming. Design and Build is Average. Display Quality is not the best. POCO F1 is a killer offering from Xiaomi and it is going to make a big dent in the sales of rivals especially in the 18k to 30K price range. Those who wish to spend more will still open the purses for the Oneplus and other brands such as Samsung and Google. But POCO is a really good option for those looking for a no-frills phone with a stellar performance. I am using it for many days and find the phone to be a good daily driver. I am also using the Honor Play along with this for last many days and find the Honor play to have a better display and a much better design and ergonomics. If you value those things and priority is not to have slightly fast performance or a better camera in this range, Honor Play is also a worthy option. Zenfone 5Z is a bit premium and also comes with better design and even has a slightly better rear camera. But for the Price or 21,000 or even the Rs. 23,990 version both are a great deal for the money and you can definitely buy these without bothering about the some of the nitpicking issues. Honor Play Review – (Camera, Gaming, and Experience) Better than Poco F1?